"I'd saved for a down payment over several years," he says. "But I was worried it wouldn't be enough, and that not having a traditional salary would affect my ability to qualify." Such misgivings are common - prevalent, even. Fannie Mae's Economic and Strategic Research Group conducted a survey to gauge consumers' understanding of mortgage qualification criteria. About 40 percent of consumers responded "don't know" when asked about requirements for minimum down payments, and 54 percent and 59 percent, respectively, said they didn't know required minimum credit scores and maximum back-end debt-to-income (DTI) ratios. Allen sought help from a housing counselor at NID-HCA, a HUD-approved counseling agency in Miami Gardens. The counselor reviewed his credit, helped him make some adjustments, and assured him he could qualify for Fannie Mae's HomeReady mortgage. HomeReady lets borrowers put as little as 3 percent down. It also requires completion of a $75 online pre-purchase education course by Framework Homeownership. "The course was a great tool that helped me to reach my goal and feel really prepared," says Allen. Allen worked with a local real estate agent to purchase a 2-bedroom, 2-bath single-family home. He's been a homeowner for about six months, and has transitioned to self-employment, retaining the Miami Dolphins as a client and adding the Miami Marlins. "I'm handling the mortgage payments just fine," he reports. "It's great to own a home and be self-employed." "I always take them around the outside of the house first, not through the [front door]. We normally end up going through the back door, the side door but never through the front door -- which is where real estate agents normally take them. You want to make sure that the outside of the home protects the inside. It’s not the inside you’re buying, it’s the house you’re buying." "Real estate agents always claim that houses are newly renovated, new plumbing, new electrical, but there’s never any permits pulled to check -- and that is a big thing. If you didn’t pull your permits that could mean that someone has come in and done a quick facelift or slip." "The age of the home can tell [you] many different things: whether it has galvanized plumbing, the possibility of asbestos (especially in the plaster), electrical plumbing and then a lot of repetitive things that no one sees. Anything before 1980 has the possibility of lead in the paint -- and that was the year we started to make changes within our building guidelines." "For example, if you’re going to buy in Colorado, no one ever has to claim whether or not there was a meth lab or there was a grow lab or somebody was shot in the house. Different areas have different stories and every single home has a different story." "Buying a home takes an awful lot of legwork, an awful lot of homework and the smartest investors always remember: “It’s the single most expensive investment of your life, so buying smart is buying it right.” Buying by illusion or by emotion can be the worst mistake." "If you don’t know what you’re looking for in a home other than the paint on the wall, new cabinets, electric and possibly new plumbing, you may want to [contact] someone that you know is a professional in the field. A general contractor, sometimes hiring someone that’s got the best skill, will give you the best payoff because the advice you need is what you don’t know." "Whenever you’re going to look at homes, bring along a nice rubber ball. It’s amazing how a ball can roll in a downward direction. So, always make sure that the grading never runs to the home but away from the home." By seeking help, Allen avoided the pitfalls that trap some would-be buyers. "First-time buyers don't know what they don't know," says Dawn Lane, broker/owner of Professional Realty Group in Las Vegas, NV. Lane says she's seen it all - from tears to screams - when buyers can't get a home they've fallen in love with. 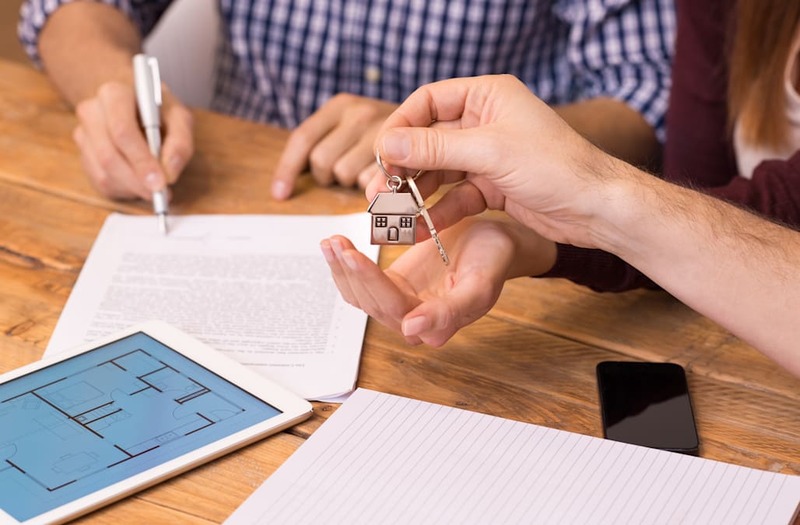 "There's a difference in how first-time buyers versus veteran home buyers view the purchase journey," notes Steve Deggendorf, a director of market insights research in Fannie Mae's Economic and Strategic Research Group. "If consumers learn more about shopping for both their new home and their new mortgage, they will be more prepared to embark on the largest purchase most will make in their lifetime," he states. A lack of home-buying knowledge can not only slow a deal, it can kill it, Lane points out. Going it alone. It's great to do some online home shopping - and you might see homes in neighborhoods you're considering and think a quick visit can't hurt. Think again, warns Lane. Your first step should be talking with a housing counselor, lender, real estate agent, or other trusted adviser to help you understand if you're ready to buy or if renting could be a better option. According to the Zillow Group Consumer Housing Trends Report, only 46 percent of buyers did not get the first home on which they made an offer, demonstrating that in today's fast-moving market, "disappointment and competition are now part of the process." You need an ally who knows the system inside and out. Looking at homes you can't afford. Audrey Fox, a broker for Howard Hanna Real Estate Services in Elizabeth City, NC, insists that home buyers get pre-approved before she shows them homes. Pre-approval involves completing a loan application and submitting documentation like W-2s, tax returns, and pay stubs. And remember, being approved for a certain amount doesn't mean you have to spend that much. "You should decide how much you're comfortable paying for your mortgage each month, considering all of your expenses beyond the mortgage, and focus on homes within your budget," notes Deggendorf. Not comparing mortgage quotes. Just because you have worked with one lender, or gotten pre-approved by them, doesn't mean you have to stick with them. In fact, to get the best loan terms, you should shop around and compare quotes from different lenders, advises Deggendorf, who notes that Fannie Mae research has found only two-thirds of shoppers get more than one mortgage quote. "If you don't look around, you could be leaving money on the table," he says. Buying a home? Check out our Home Buyers Guide and Mortgage Learning Center for all the resources you'll need.